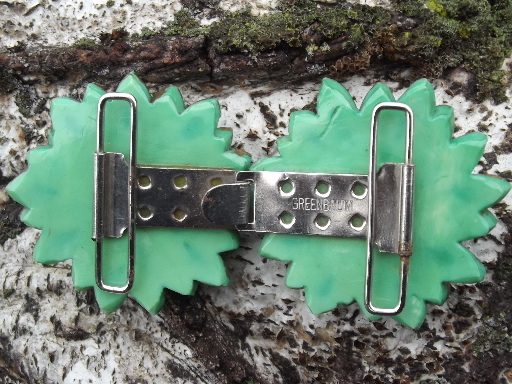 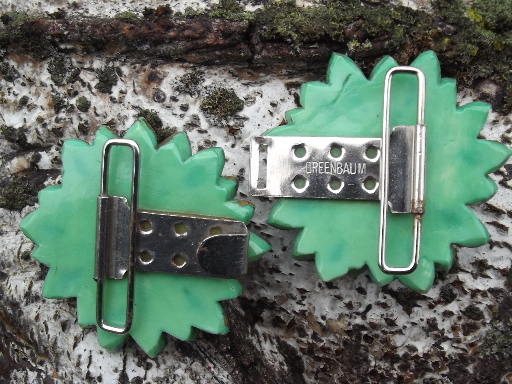 Early plastic ladies dress belt buckle, flowers in jade green edged with gold paint. 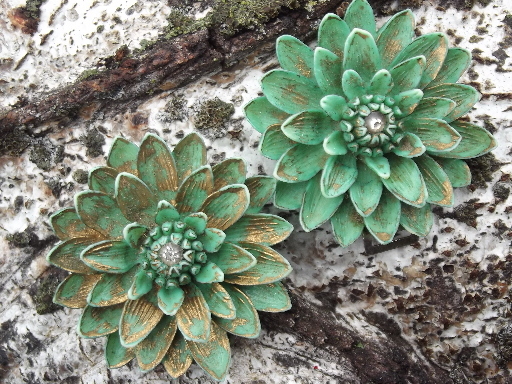 It&apos;s about 4" long over the length, with 1 3/4" diameter flowers. 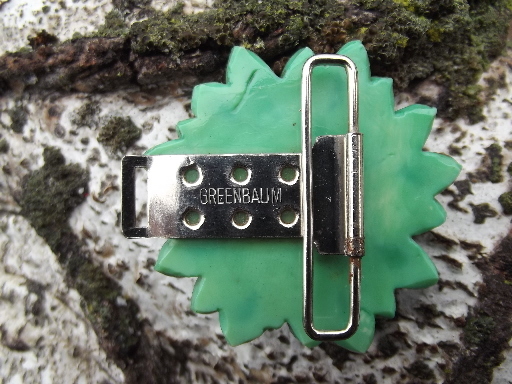 The hardware is marked Greenbaum. 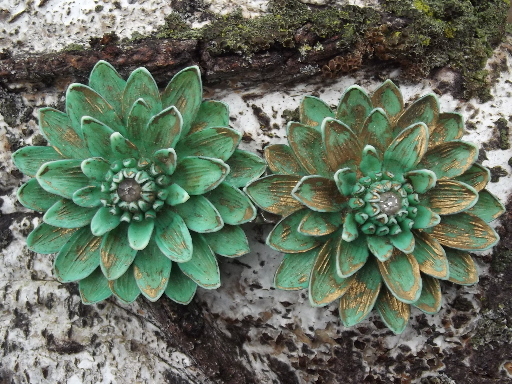 It works fine, and there are no chips or cracks to the plastic, just a little bit of wear to the gold paint.